This article outlines the process used to create a Dimension, values of which are populated automatically based on a data fetch command. While SQL is used here to fetch the Dimension values, the process described below can be used for any automated fetch method. Click [+ New Dimension] at the bottom of the page. Write the data fetch command that should be used to collect the Dimension value data in the SQL statement field using the Hint to the right of the statement box. This command should return one Key Value and one Display Value columns. If your Dimension does not have a key value, select the display value for both columns. 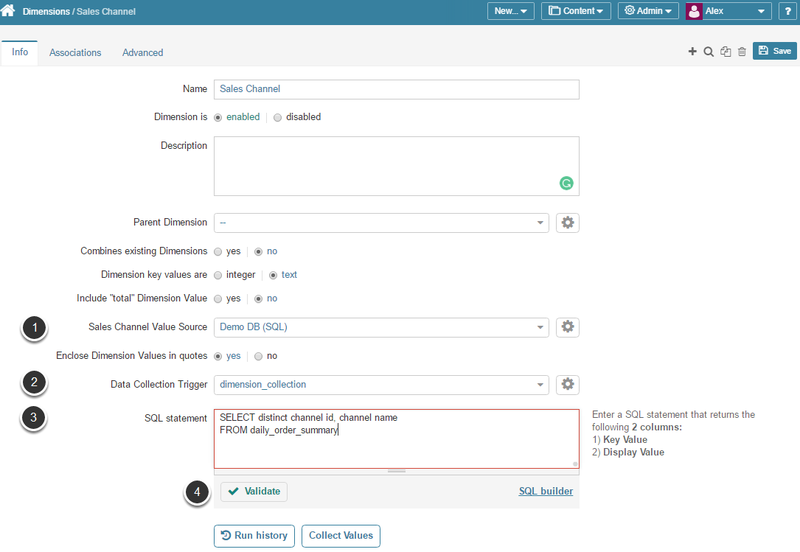 In the shown example, channel_id and channel_name return the same value. 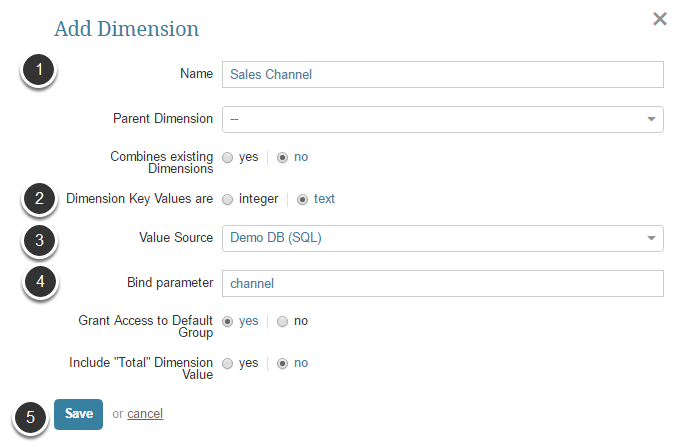 Provide additional Dimension configurations in the Advanced tab of the Dimension Editor. For example, you can specify how the element name is going to be displayed (for example, 'Email Marketing Sales' or 'Sales via Email Marketing'). For a detailed instruction on using / creating Element Name Template, refer to Use a Naming Template to Specify Dimensioned Elements Name Format.